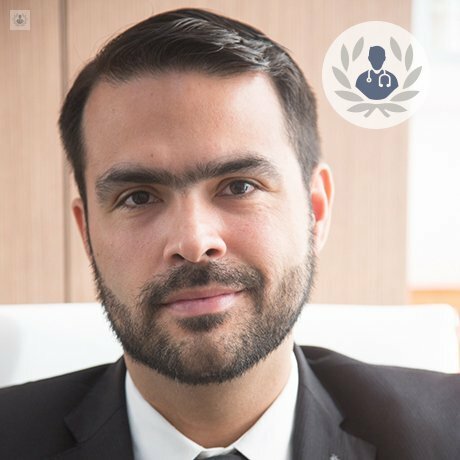 Dr. Gerardo Ortiz Lara is an Urologist and Andrologist, with more than 20 years of experience in topics such as: Male Infertility, Peyronie or Penetrating Incurvation, Peneal Prostheses, Varicocele, Vasectomy without Scalpel and Vasovasostomy , just to mention a few. Clinical Andrologist is currently at the European Academy of Andrology where he is a member as well as the European Society for Sexual Medicine and International Society for Sexual Medicine. He is in charge of the Dr. Gerardo Ortiz Andrological Center and has been a teacher on several occasions of courses held for the Fundació Puigvert de Barcelona. Thanks to this, Dr. Ortiz Lara is recognized as one of the best specialists in Andrology and Urology in Álvaro Obregón and Monterrey. Andropausia - ¿A qué edad inicia? • Clinical Andrologist. European Academy of Andrology. • It has more than 30 presentations at congresses and medical conferences in Mexico, Germany and Spain. • Author of different publications of the specialty. Excellent experience, very professional with high confidence, friendly attitude. highly recommend him. wish all doctors would be so kind person as dr. gerardo! Había consultado a varios urólogos para una prótesis de pene. sin duda, este doctor si sabe de lo que habla, es evidente su domino y experiencia en el tema.